“Do not trust the mortal age”. He told everyone in the house about this revelation and said that it was regarding his own self. Then just when he fell ill on the night of the 25th and his wife asked him what was about to happen, he said “this is what I had been foretelling”. Thus, he knew very clearly that the time for leaving this world had come! God had been continuously talking to him and informing him of this day. 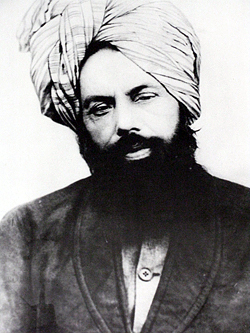 He passed away on the morning of the 26th in Lahore and his funeral prayer was held in Qadian, India on the 27th of May, 1908. The event on the 27th had been foretold before. He passed away in Lahore and his funeral (the event) took place on the 27th and his body was brought to Qadian wrapped in a coffin. In what clearer words could his demise have been foretold? Glory be to Allah. We saw earlier that Ahmad (as) prophecized his age when in his youth. In the end of 1905, he declared that just two or three years remained. Who informed him of his life and who informed him of his death? Why did he not live more than three years from 1905? Indeed God reveals His designs to His chosen ones. In his life was a sign and in his death was yet another for the seekers of truth.